The signs of two opinions contradictory one to another, namely affirmation and negation of the same thing, is called controversy. We have a ritual in the Lounge on Saturday evenings: just before 6 pm Eastern Time in the US we put aside the crossword puzzles, the knitting, the laptops, the lapdogs, the platters of sweetmeats, the stacks of correspondence, and all other distractions as we draw up our Barcaloungers in a semicircle around the wireless. Here, we sit in rapt attention to C-SPAN radio for the weekly hour-long broadcast of oral arguments heard before the US Supreme Court. Pretty lame for a Saturday night, you may think, but consider: where else are you going to hear extremely well educated speakers, often at the peak of their careers, laying out arguments in minute detail after weeks or even months of preparation, about matters of great import that may directly affect the lives of millions? Whose sympathies are not engaged by one side or the other in cases that by their nature partake of controversy? Who can resist the suspense of knowing whether the parties to the case will find words to successfully persuade the panel of nine robed figures who represent the pinnacle of thinking about the constitution? Many elements go into the arsenal of a submission to the Supreme Court, but for the hour of oral argument, the only weapons at hand are words. What's not to love about that? For us, it's a chance to hold our finger to the pulse of modern English and see how it's working. As part of this weekly ritual, we also like to print out the transcripts of the oral arguments (see links below) and follow along. This, we find, focuses our minds on the discussion and helps alert us to interesting uses of language. Analysis of Supreme Court cases can and does fill volumes and we have only about 1,000 words here, but we wanted to share the delights that we find in studying the oral arguments as a linguistic phenomenon, so we'll look at a case that was broadcast recently, in the hope that readers will be encouraged to give the justices and their addressers a whirl. In January of this year the Court heard a case called Baze v. Rees, which was broadcast very soon after. This case involves a subject many find troublesome to contemplate: the case is a challenge to the practice, widespread in the US, of using a "three-drug cocktail" to administer the death penalty. Three people argue before the court in this case: the petitioner, representing two death-row inmates; the respondent, representing the State of Kentucky; and a Department of Justice lawyer, supporting the respondents as an amicus curiae. In a nutshell, the petitioners argue that this method of execution violates the Eighth Amendment of the US Constitution because it runs the risk of being maladministered, and thus constitutes cruel and unusual punishment. The respondent and the amicus argue against this position. An opinion has not yet been issued in the case. Armed thus with several wordmaps, we set off on our examination to see where it might lead. The word cruel and its inflections occur only six times in the arguments, and nearly always in the phrase from the amendment. The one exception is in the petitioner's opening statement: "Kentucky's lethal injection procedures pose a danger of cruelly inhumane executions." No synonyms of cruel -- most of which are quite a bit stronger and judgment-laden than cruel -- are used in the arguments. The word unusual, likewise, does not occur frequently in the arguments and is nearly always a part of the phrase from the Eighth Amendment. The one synonym of unusual that figures in the arguments is extraordinary. It is used by the respondent, who declares that judging the case on the merits of the petitioner's arguments would be an "extraordinary result." The word punishment and its synonym penalty are each mentioned just over half a dozen times in the document: again, mainly in fixed phrases ("cruel and unusual punishment" and "death penalty"). When we get to the verb inflict and its inflections, (inflict, inflicts, inflicted, inflicting, infliction) usage suddenly ramps right up, to two dozen instances. Inflict or some form of it is used invariably in proximity to two words: penalty (as in "inflict the death penalty" and pain, a word that, along with its relatives (painful, painless, painlessly, nonpainful), make 75 appearances in the arguments. Listening to the arguments and then following up these various word pathways on paper, it became clear that the main subject of this case is this: the infliction of pain and under what circumstances the state may or may not be allowed to do it. Pain or one of its relatives is used by every speaker in the case except Justices Ginsburg and Alito. Pain is characterized by two synonyms, torturous and excruciating, two dozen times in the arguments. Almost as frequent as the mention of pain is use of the word risk: the justices and parties to the case grapple with the risk of inflicting pain, or the risk of human error in carrying out executions, nearly 70 times in the arguments. The Founding Fathers were -- for better or worse -- completely silent on the subject of pain or the risk of inflicting it. Anything the Supreme Court has said about these subjects up to now in relation to punishment is in the form of dictum. In this particular case, the suspense at the end of the arguments is just as great as at the beginning. We will be very interested to read the opinions when they are issued in Baze v. Rees to see how the word counts balance out. Early in our countries’ history, punishment was the main theme for incarceration. Rehabilitation was not even in the picture. Capital punishment is only legalized vengeance. No person has the right to kill innocent people and neither does the State have that right. What socially redeeming value is there in executing someone? Place then in a cell 23, out of 24, deny them the luxuries of life--cable TV. Music is ok but only a selected type of music, which will relieve the hostility in the inmate. Thank you very much for Friends of the Court. I have not seen this before and I found it both educational and interesting and look forward to reading more. I will follow some of the links. How thougthful of you folks!! The old adage that states "it's not what you say but rather how you say it" certainly highlights the principle promoted by this article. The court's final declaration will reflect their feelings and thoughts, not only on the petitioner's concerns, but also on the wording used to present these concerns. I was intrigued by the use of "sweetmeats," "lap-dogs," and "wireless" in the second paragraph of this essay, leading me to wonder where the "Lounge" is located and who the "lounger" author is, which of course, led me to the other articles in the "lounge" series and to the author's website and to this unduly lengthly sentence. If you visual thesaurus readers haven't checked Mr. Hargrave's website, it is worth a visit for the laughter it elicits. To date I've get to encounter a wittier and more delightful website. Thank you Visual Thesaurus. Thank you for your fine post. Your words exploring words makes it clear how language can separate us (or not) from what we inflict on one another and our planet. I like very much to read your posts, I am learning english and find them very peasing and encouraging to keep learning. part 1: He said "If you go and kill somebody it is always wrong, no matter who it is." part 2: He said "if death is a necessity, that which is indispensably requisite to an end desired, then wouldn't it become clearly revealed to the mind or the senses or judgment?" part 3: written on a subway wall 'human being; being human: ardent predator/ indiscriminate killer decided by demand.' Sounds a lot like a dictionary! Conclusion: words demonstrate to an audience, such as the works of an artist. Art has been the motivated waging of armed conflict. Well, that was a conversation stopper. Comment by: Michael D C.
Without knowing about this little weekend triste of yours I usually listen to the C-Span replay of the supreme court cases as well. You are correct in your analysis of them. I find them very interesting to hear. Sometimes you can hear the justices as they comment and they seem to get an attitude as if they are leaning in one direction or the other, but then I wonder if that is to purposefully act as a misdirection. What do you think? In the first post above I found that the commentor, Sam, stated "no person has the right to kill INNOCENT people, and neither does the state". Sam, the state is not killing INNOCENT people, the state is putting to death people that have been convicted of murdering innocent people. There are also times when the state can unwittingly "kill" innocent people, as in times of war, when innocent people are killed. Does the state have a right to enforce the laws of the nation? Does the state have the right to kill innocent people in times of war, even though they may not intend to do so? I think they call them casualties of war. I know that ideally we would prefer that no on be killed, but we don't have that utopia yet. What's your thoughts on this guys? An interesting literary and philosophical distinction is that the 8th Amendment prohibits "cruel and unusual punishments inflicted" and not the possibility of cruel and unusual punishments. At what point does a punishment, with the possibility or even a moderate probability to be "cruel" become prohibited? And is this phrase an opening into the realm of individualizing sentencing? That is, does it imply that what might be cruel to one criminal might not be cruel to another? Does what is cruel depend upon the crime that the person is found guilty? My belief is that the Justices ask questions to probe the extreme ends of a particular way of interpretation, to highlight problems in logic, and attempt to more clearly define legal issues. Of course they do that with their own perspectives, experiences, and concerns. Since they are usually in appellate mode, it is their one chance to reach out beyond the briefs. Some Justices (e.g. C. Thomas) rarely ask questions at all during oral arguments. A look at the language of another world... opera. A look at the language of science fiction. 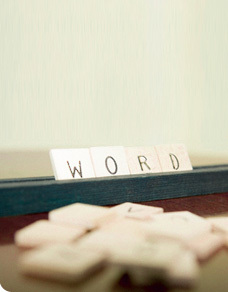 How do words become, well, words? Read here.